• Forcing a bad pass that one of your players can intercept and take in for an easy basket. The 1-2-1-1 press provides a solid trapping defense that will give your opponent headaches in their backcourt. 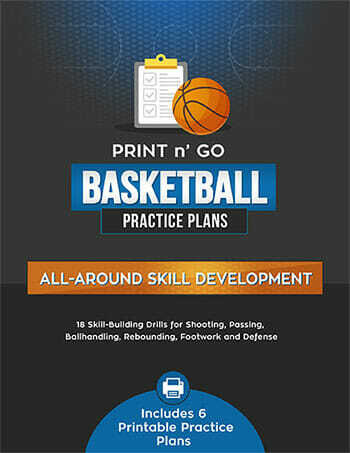 If done successfully, it can create fantastic opportunities to score points off turnovers. This press stresses ball pressure right from the inbounding of the ball. It can be done at any time: after a score, out of bounds plays, and after a time out. This player should be your fastest player with the quickest hands. This will be a smaller player, and his or her job is to force the opponent to either dribble or pass to one side or another. If the press is broken, this person is going to be far out of position on defense and they need to get back to the top of the key. 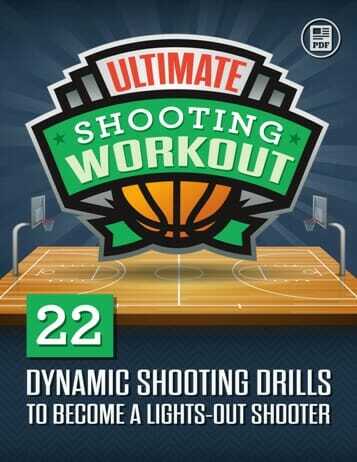 They are also available for quick passes back up court if one of the opposition passes are intercepted at mid court. These players are likely going to be your forwards. They should be larger players on your team, because are going to be the ones that set your trap when the ball is pressured in one direction. In most cases, the 2 man will be the more active player, because your opposition will try to take the ball towards their dominant side. Most players are right-hand dominant, so that is the side they will go to, so the 2 man will have to be athletic enough to set the press every time. The 3 man needs to be able to anticipate what is going on in the backcourt. Is the pass going to return to the inbounds player, or is it going to move up floor? This is the question the 3 man should be asking. The 4 man is the centerfielder. They sit right at center court and they will cheat one way or another in order to stalk the opposition’s passes. This player needs to have great court sense so they can anticipate where the pass may go. In most cases, this player will be your shooting guard. They don’t have to be overly large, but they do have to be quick in order to cover the vast area in the center of the court. If they get beaten, it could leave a 2 or 3 on 1 for the 5 man to defend. In the 1-2-1-1 press, the 5 man’s primary responsibility is to prevent easy baskets and to be the last line of defense. This player needs to be the best rebounder and will likely be your biggest person on the court. You will also want the 5 man to be aware of long passes to the corner. • Assuming the ball goes to the 2 man’s side, the 1 man will continue to influence the ball carrier to that side. If it goes to the 3 man’s side, then the above diagram is going to be mirrored. The1 man sets the screen on the other side. • The 2 man must set the screen near to the sidelines. If the dribbler gets the ball between the 2 man and the sidelines, then the press is broken. This is why the 2 man needs to be fairly quick and big. 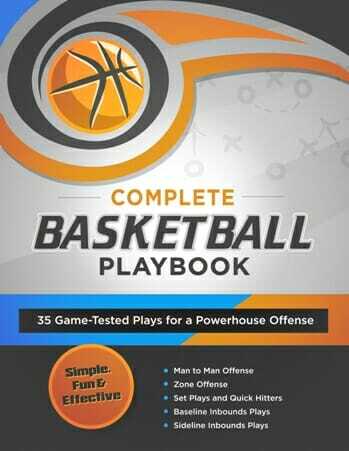 • The responsibility of the 3 man is to prevent the pass back to the player that inbounds the ball. Wherever this player goes, the 3 man should be there to cover that person. In order to prevent the pass, the 3 man should play defense in the passing lane instead of covering the man as they would in a man-to-man defense. • The 4 man needs to go where the pass goes. They need to be able to anticipate where the player being trapped is going to pass, and then they need to cover that passing lane. This is where you make or break the press. • The 5 man needs to sit back and follow the flow of the play. If the ball is going left, then the 5 man goes left. If the ball goes right, then the 5 man goes right. He or she just needs to remember that they need to cover the long pass to the corner, and that they are the last line of defense for if the press is broken. The 5 man cannot take any unnecessary risks to intercept balls. • If the first player gets a pass over the head of the 1 man, then the four man and the 3 man (in this diagram) can set a trap on the player that receives the pass. • Don’t let anyone beat your players to the sidelines. This is a sure way to have your trap broken every time. • If the press is broken, your players need to rush back to get into position to play defense, or your 5 man will face a 2 or 3 on 1.